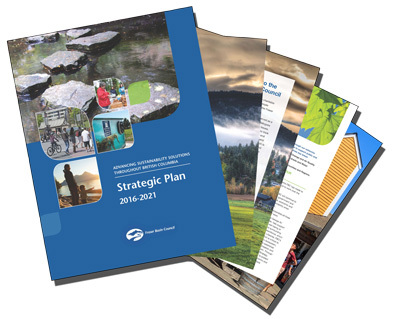 The 2016-2021 Strategic Plan: Advancing Sustainability Solutions helps guide the Fraser Basin Council. The five-year plan reflects the Council’s strategic priorities, the way in which we carry out our work and how we define our success. Inspirational and practical, this is the framework for annual operating plans, partnerships, work plans and all decisions to devote time, money and energy to fulfillment of the Fraser Basin Council’s mandate. In the plan you’ll find FBC’s areas of focus, key roles and measures of success. Take a look: 2016-2021 Strategic Plan.